So, basically, if Brown and Tatum don't combine to miss several dunks and layups, and the Celtics give up only a million offensive rebounds—as opposed to a bazillion—then they'd have won. Great. Brown is averaging 14 points a game. His scoring hasn't really been a big issue. I don't think that makes sense either. Brown is a big mismatch as a SG, he needs to stay exactly where he is - starting SG. He does need to keep improving though. He probably will. This team takes too many 3s. Yeah that FT violation with Kuzma was more than the refs should overlook. I mean every game guys get in the lane early and it is NEVER called. But that one was combined with a push in someones back (can't remember who?) and it was just way too obvious. Should have been a foul or a violation. Kuzma played well, we didn't find him to contest his 3 points shots as well as we needed to. Horford and DT aren't quick enough to really run him down at the 3 point line, Brown is quick enough, but probably too small to handle him inside? I was hoping Brad would switch Brown on him and force Kuzma to attack the rim. Didn't seem like that ever happened though. Cmon that just isn't the case. Smart played well had 22points 8 assists, Morris scored well, Terry hit clutch shots. We had 46 points from the bench. Tonight isn't the night to make this argument. To be fair, we really didn't get much from Tatum and Brown tonight. Neither played very well, and both struggled on def. I know our bench has sucked a lot lately, but they were decent tonight. That's the main problem, in addition to the inconsistent, lackluster bench. Tatum and Brown have both just come back down to Earth, and I would bet there's a correlation there with our offense. We need another scorer to take some of the pressure off of Kyrie. We're essentially back to last year's offensive team with Kyrie = IT, but our other guys are just too young and inconsistent this year to help make up for our lack of a true secondary scorer. Only way you're getting a scorer is with a major deal and I just don't see that happening. The main objective should be to build next year's team. The 2nd scorer for this season is Tatum and right now he's dealing with the rookie wall. That's why I'm afraid that this stretch of lousy basketball could get out of hand. A buyout guy might be a complimentary piece but he won't make the team dramatically better. Without Tatum as a factor it becomes a below average shooting team that relies on the 3. That's about where they are right now. I say stick with the kids. I mean we arent getting anybody that is gonna put us over the top this year anyway. Lou williams, Tyreke evans isn't gonna cement us a place in the finals or get us even a little closer to a championship. So let the young guys dveelop. They will have bad games like tonight, more than we may like like, but they will also win us plenty of games (we are still in first place afterall) and they will be better for next year when we may actualy have a shot with hayward back. I think either one of them would do WONDERS for our team and make us much, much more likely to get to the Finals than playing the kids. 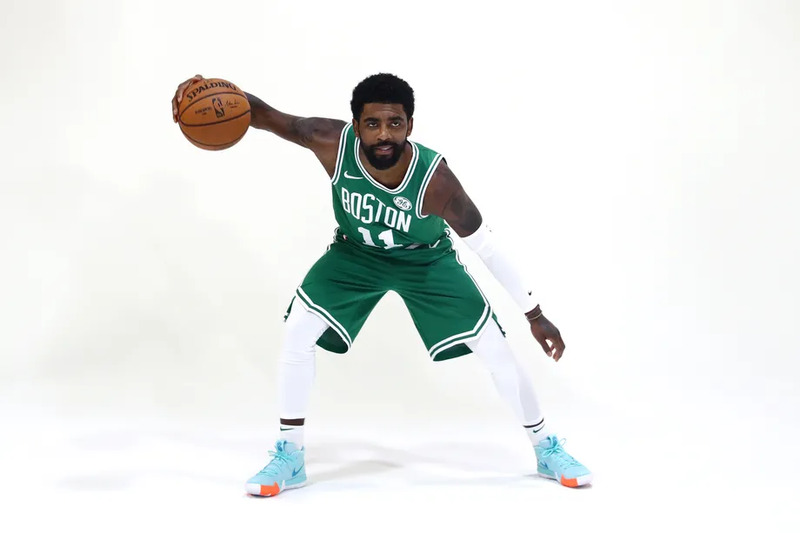 The offense simply bombs anytime Kyrie goes to the bench anymore, and having one of those guys would allow us to pretty much always have a designated scorer on the floor. Wow, I just completely disagree with this take. I mean either one would help the offense sure, but they create gaping holes in what has been a defense switching team. That's our identity. I dont want to risk some improvement in offense at the risk of what's made up the number ne in the east. Now sure, if you are telling me that Williams or Evans will take Roziers or Smarts shots then sure, Smart may very well be off the team next year and Rozier is a bench player so that doesn't effect our future. But neither Tatum or Brown should lose a single shot to some rental player in a year when we aren't going to beat GS. NOT A SINGE SHOT. They will have games like this, but they will be better for it in the long run. And even if you dont believe that then what's the point in using an asset for a player who again wont help us get a chip this year and will only deplete our war chest (which we may need for a superstar). I mean I get emotional reactions, this game ad the last stretch in general have been rough, but its midseason, almost everyone is kidn of stalling right now. Been following the Cs since the mid-60s and I've never seen a more frustrating player. Not even close. Good to see him taking questions after the game, but we already know he's a stand-up guy. I still hope. Tatum and Brown have hit the wall. Things were looking great early when they were fresh but now we are starting to see exactly how much we miss and need Hayward. The roster was built correctly. We just had misfortune derail our season 5 minutes after it started. The kids are learning, Kyrie is learning, Brad is learning... and somewhere, Gordon is learning. Nobody knows when GH will return, but when he does... they will be a force. Another subpar Tatum game. In the recent stretch he has not played well. We’re looking like Kyrie's Cavs before Lebron. I’m afraid that this might be the real Celtics. Many of those wins we played terrible . We come from behind half the time. What I’m saying is this is more what I thought it would be in the summer. A complete overhaul roaster , 5-6 rookies, injured star. That looks like a mediocre team. story of the losing streak: Too little too late. Yeah, I'll be happy when we get the real Tatum back. If somebody only saw the Tatum from the last couple of weeks they wouldn't think he's special. He's definitely dropped a couple notches in the rookie of the year race.